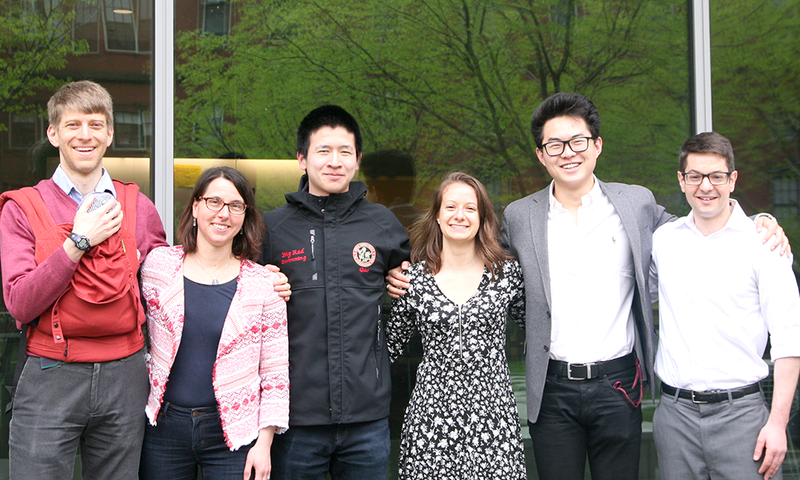 Congratulations to three juniors from the Chemical and Physical Biology (CPB) program – Alan Gao, Eric Li, and Brittany Petros – who have been chosen to join the Phi Beta Kappa (ΦΒΚ) honor society. ΦΒΚ is one of the oldest societies of its kind in the U.S., and was founded in 1776 to promote academic excellence in the liberal arts and sciences. Alan is currently working in Johannes Walter’s lab, and has previously participated in the BCMP Summer Scholars Program. Eric is currently working in the Schier Lab, and Cox describes the research he’s done with Alex Schier as “nothing short of extraordinary.” Cox also describes Eric as being comfortable with collaboration, and always willing to help his classmates during group projects and discussions. “He already operates at the level of a fairly advanced graduate student, and it is easy to forget he is only a Junior,” Cox said. Brittany volunteers as a Peer Concentration Advisers for Pforzheimer House, works as a teaching assistant for Chem 17 and PS 1, and has earned the admiration of Grace Ferris, Course Instructor in Chemistry.